Anonymous until now, photojournalist Kulwant Roy's work is finally acknowledged thanks to an exhibition. Twice, over 24 years, Aditya Arya tried to open the boxes that photojournalist Kulwant Roy delivered to him, bit by bit, on his Lambretta scooter before he died, anonymous and impoverished, in 1984. But each time, he gave up. There was just too much in those boxes, explains Arya, an advertising photographer with a busy schedule. There is still too much. 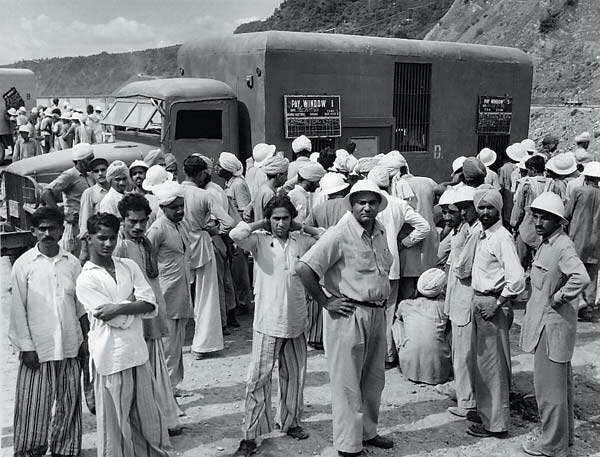 On the eve of the first exhibition of Roy's work, which opens at Delhi's Indira Gandhi National Center for the Arts (IGNCA) on October 3, thousands of Roy's negatives, in neatly labeled boxes, remain unseen. But the 7,000-odd that Arya has digitally scanned since December 2007-when he finally began to unpack the legacy that Roy, a family friend, had bequeathed him-are glimpses of a historical treasure house. story is that several striking images, capturing scenes from the last years of British rule and the early decades after Independence, have turned out to be Roy's work: Gandhi and Jinnah arguing in 1939, Nehru and Ghaffar Khan strolling in Simla while Sardar Patel goes past in a palki, Nehru's hand curled tenderly around grandson Rajiv's neck, Mountbatten presiding over Partition talks, Gandhi walking along rough terrain in the North Western Frontier Province, in 1938, with the Frontier Gandhi in tow and a jaunty soldier flaunting a pair of grenades at Haji Pir pass in the Gurez sector, after India captured it in the 1965 war. Photo editors know those pictures, which are stored in photo archives and have been reprinted over the decades but credited to nameless stringers. Only now are these omissions beginning to be repaired. Getty Images, which holds the 1939 Gandhi-Jinnah picture, has retrospectively credited Roy for it, after verifying Arya's claims. "Margaret Bourke-White and Henri Cartier-Bresson were brands. 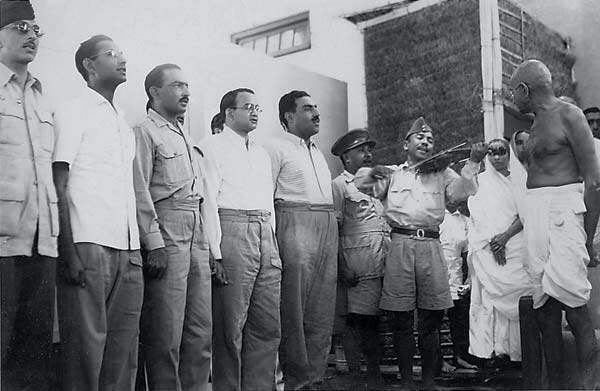 Their images of India became iconic. But photographers like Roy did not get the recognition they deserved. They worked very hard, for peanuts," says Arya. 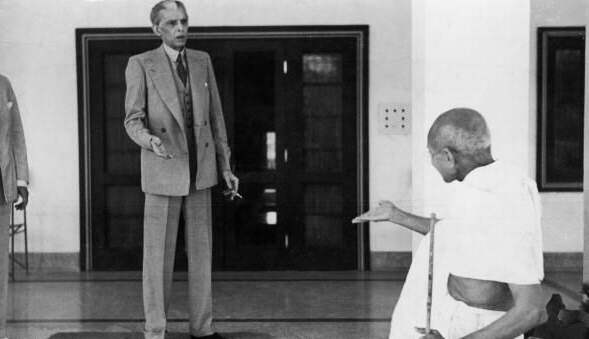 Mahatma Gandhi and Jinnah in a heated conversation. 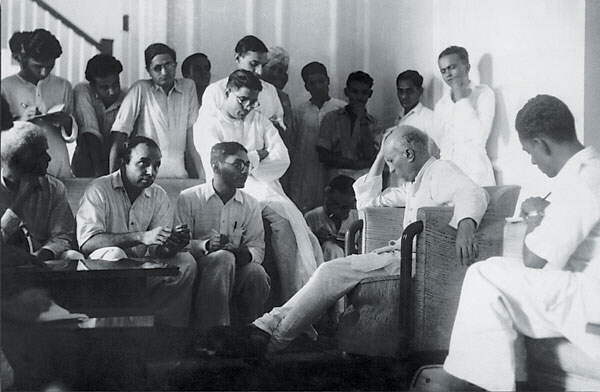 A well-known photograph recently attributed to Kulwant Roy. 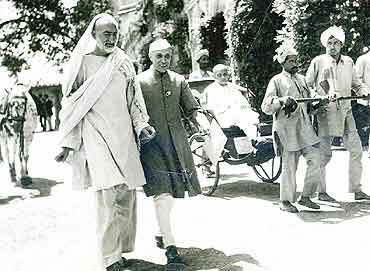 Khan Abdul Ghaffar Khan and Jawaharlal Nehru walk to a Congress meeting while Sardar Patel is pulled alongside in a rickshaw. Roy's access provided him with ample opportunities for informal photographs. Kulwant Roy (b. 1914, Lahore, then in India) was an Indian photographer. As the head of an agency named "Associated Press Photographs", he was personally responsible for several iconic images of the Indian independence movement and the early years of the Republic of India. Born in 1914, Kulwant Roy grew up in Lahore before joining the Royal Indian Air Force where he specialised in aerial photography. After being discharged from the RIAF, he returned to Lahore, but moved to Delhi in 1940 where he set up a studio, which later expanded into a full=fledged agency, in the Mori Gate district of Old Delhi. For a few years previously, he had been following Mahatma Gandhi in his travels around India in a third-class train compartment; that experience permitted him to gain insider status that meant that he was permitted to record many crucial events of and major participants in the independence movement, including Jinnah, Nehru and Patel. Roy continued to work for a time. 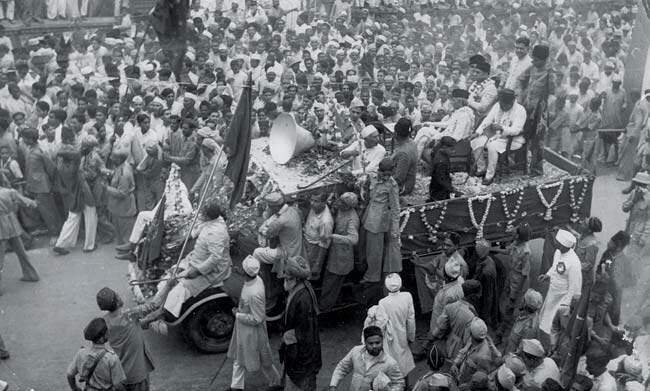 He covered Jackie Kennedy's visit in 1962 to India and India's war with Pakistan in 1965. But increasingly, he was eclipsed by a new breed of aggressive young photojournalists. 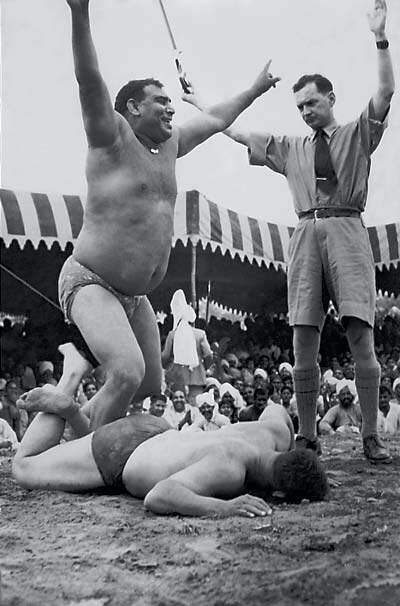 The decorous press conferences and the chummy familiarity with politicians early Indian photojournalists like Roy had enjoyed were giving way to the scrum and the photo-op. Roy hung up his`camera. He quickly faded into obscurity. "No one knew him or his past," Arya said. Roy was a frequent visitor to Arya's parents' home in New Delhi, having known Arya's mother's family from Lahore. But by the time Arya was old enough to remember him, Roy was a poor and lonely man. "He never wanted me to be a photographer because of the hardships and the fact that one has to live a life a bit like a vagabond," Arya said. But when Roy died of cancer, virtually penniless and with no children of his own, he left Arya his photo`collection. Having belatedly rediscovered Roy's photos, Arya is now dedicated to restoring Roy to what he sees as his proper place in the annals of Indian photojournalism. Roy sold many of his photographs to international news agencies during his lifetime and some of them are now found in archival collections, but they are rarely credited with his name, a fact that angers Arya. "For me making sure people know his name is as important as making sure they know his pictures," hesaid. The photo of Gandhi arguing with Jinnah can be found among the archives of Getty Images, one of the world's largest photo agencies, where it is simply attributed to a "stringer" for Topical Press, a long defunct London news service. "As was common for this period the print was uncredited," Sarah McDonald, a Getty curator, wrote in an e-mail response to questions about the photo. McDonald also wrote that "if we can verify the image is by Roy we will be happy to credit the image tohim." Arya is hoping to mount an exhibition of Roy's photos in Delhi later this year. A book and other projects are also under discussion. Arya believes that some of the images - for instance a picture of a loin-clothed Gandhi descending from a third-class rail car - could become as iconic as the vintage India photos taken by Bourke-White andCartier-Bresson. 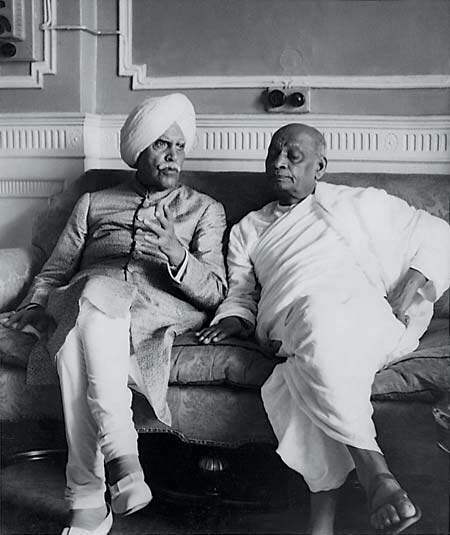 The photo with title of Sardar patel with Maharaja of patiala during phulkian union meeting is wrongly tagged. The Royal in this pic is Maharaja of Kapurthala Jagatjit Singh. He was also not a member of Phulkian Union.